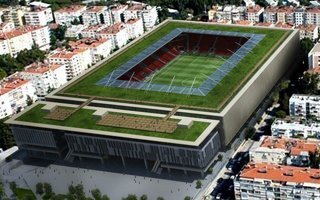 Demolished in 2015, the old Alsancak stadium was considered one of the most iconic in Turkey, in operation since 1910. 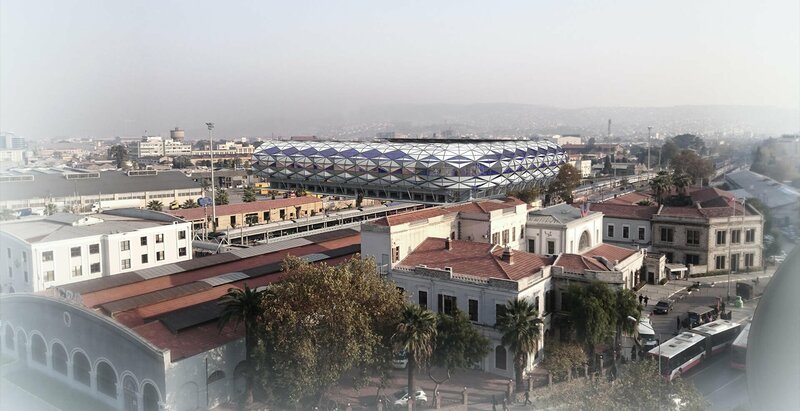 It was closed due to negative seismic safety evaluation and for some time it was considered that its successor would be moved to another location. 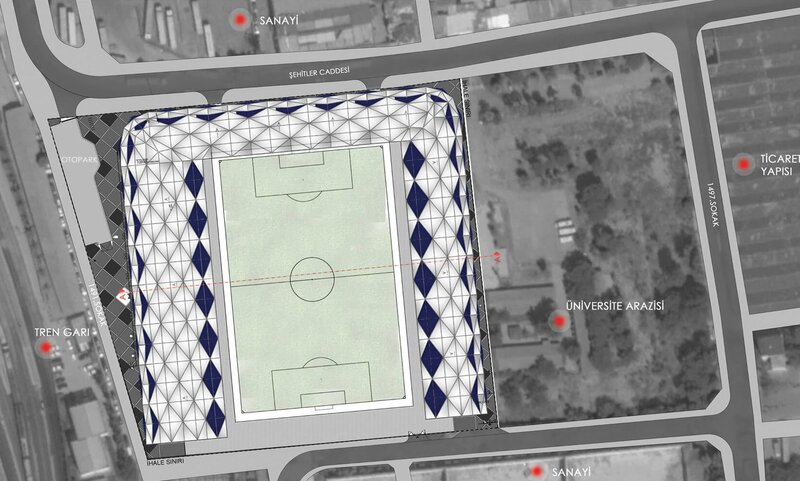 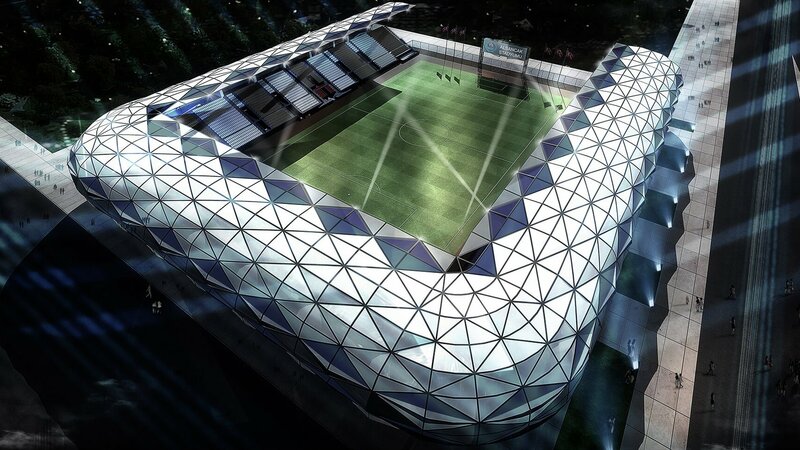 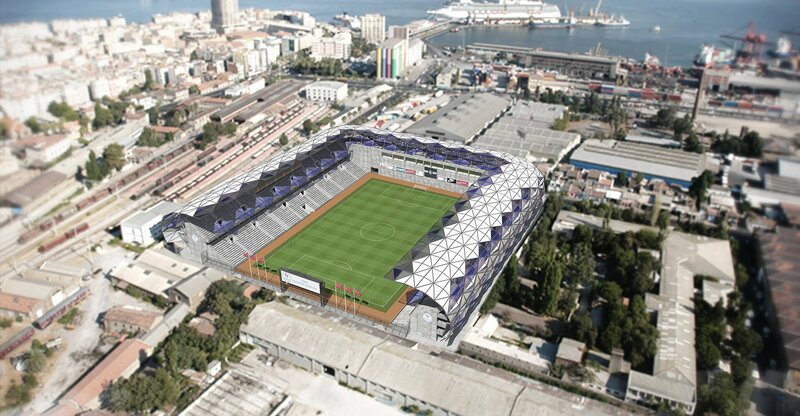 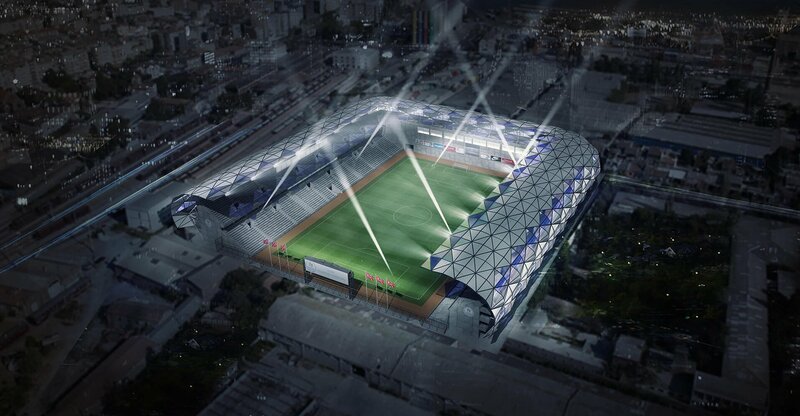 This would effectively leave the heart of Izmir without a football field, let alone a stadium. 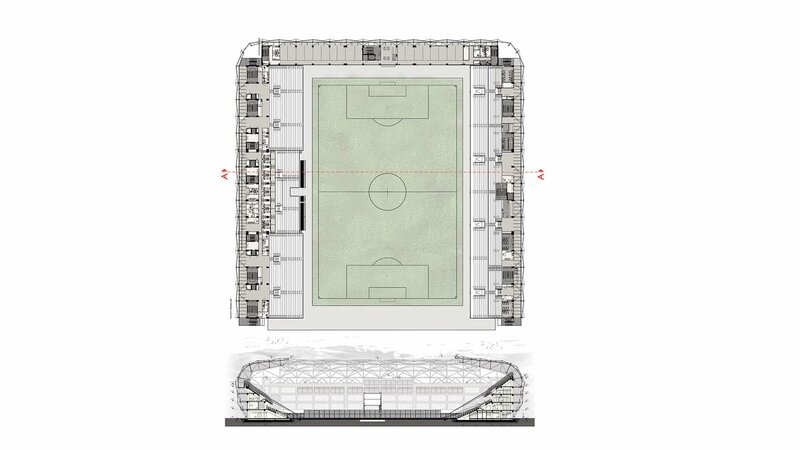 Despite a very tight plot eventually it proved viable to fit a modern stadium there. 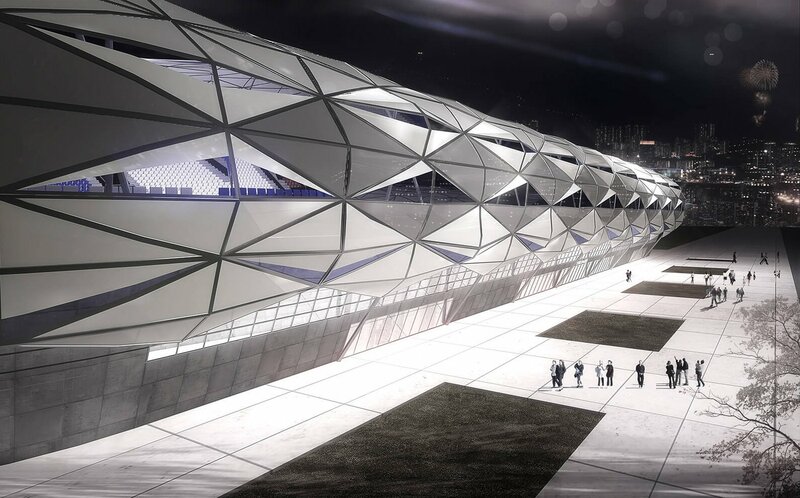 First designed with two tiers and only two stands, it was then presented as a three-sided stadium with a single level of seating. 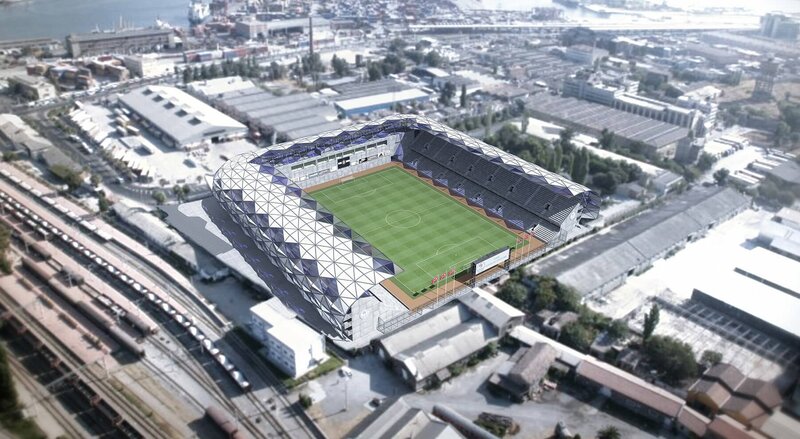 The north end, just like in the old stadium, will remain without any seating. 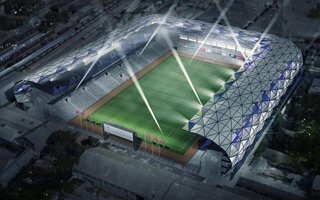 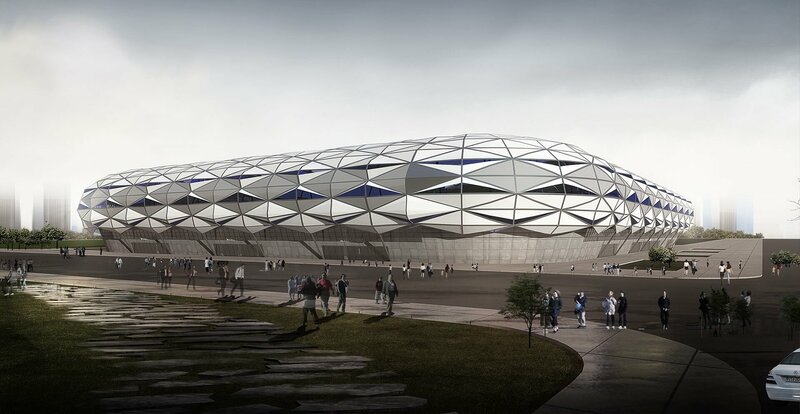 The concept was drawn in 2016 and by late April 2017 construction company Metro was selected to deliver the stadium in 18 months.